We had a great time and we hope you did too at our Breakfast with the Easter Bunny event! We want to thank our sponsors and the generous donations made for our event. We also want to thank our volunteers from the Troop One Stow Boy Scouts and The Rotary Club of Nashoba Valley. Our event photographer, Annelie Connolly will be posting in about a week family photos taken at the event available for purchase at this link https://www.annelieconnolly.com/Pages/EasterBunny2019. 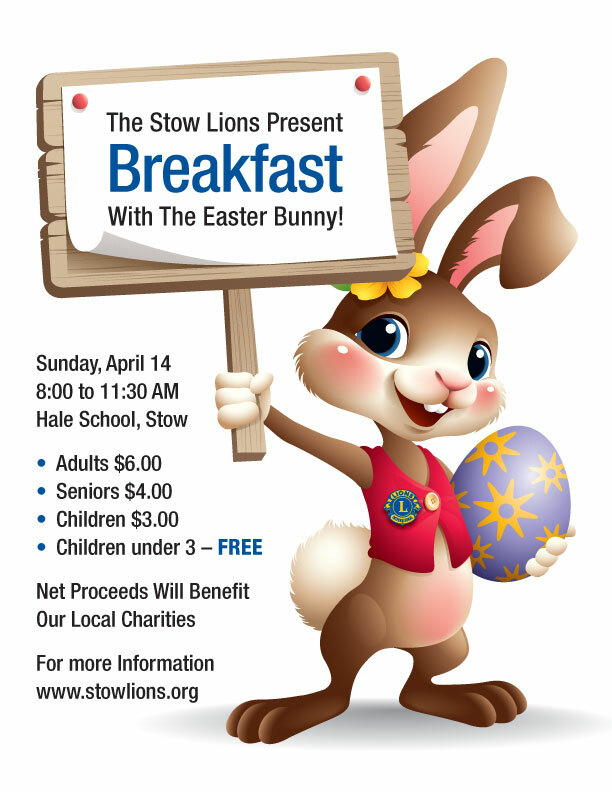 50% of the purchase goes to the Stow Lions Club. So check it out. H.H. Warren Insurance Agency, Inc.